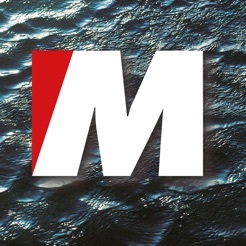 Publications for foreign and Croatian sailors who sail the Croatian Adriatic, prepared by the editors of the oldest and leading Croatian nautical magazine - More magazine. 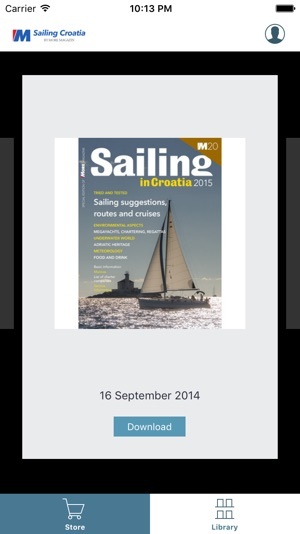 In these publications you can find everything that you need to know about sailing in Croatia. 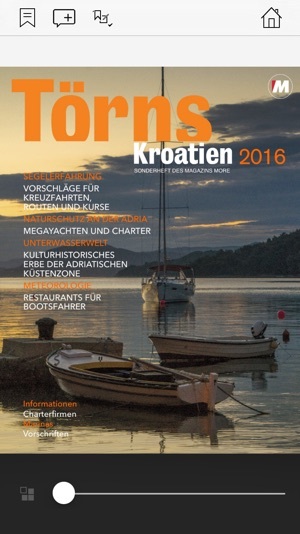 Basic information, sailing suggestions, routes and courses, reports on the Adriatic's most beautiful islands, national parks and anchorages. 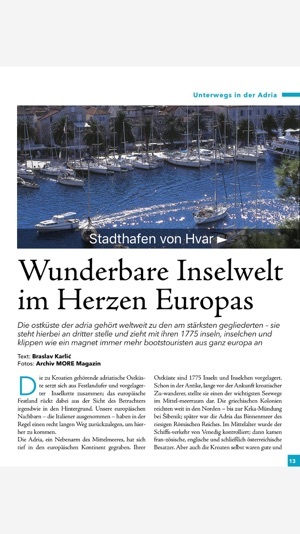 All you need to know about climate conditions in the Adriatic, tips for chartering, information about the Adriatic, its heritage, food and drink. 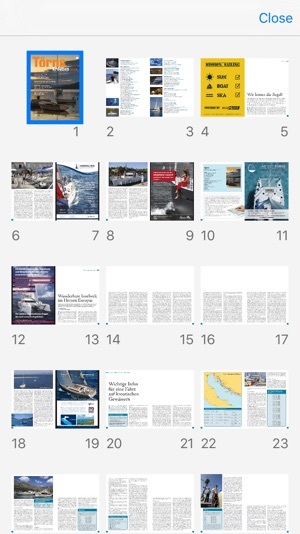 You can also read More magazine and best-selling books for sailors on your iPad. This version brings support for iPhone and various fixes.